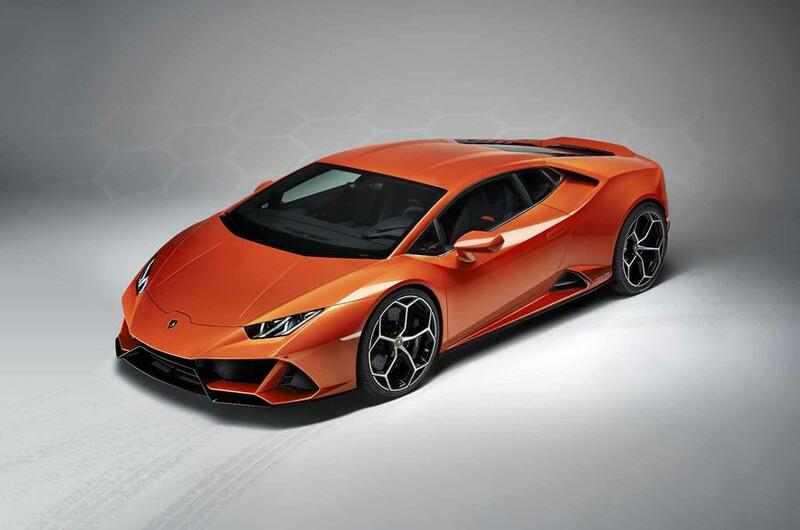 The covers are off Lamborghini’s facelifted Huracan Evo, following on from preview images released in the past few days. 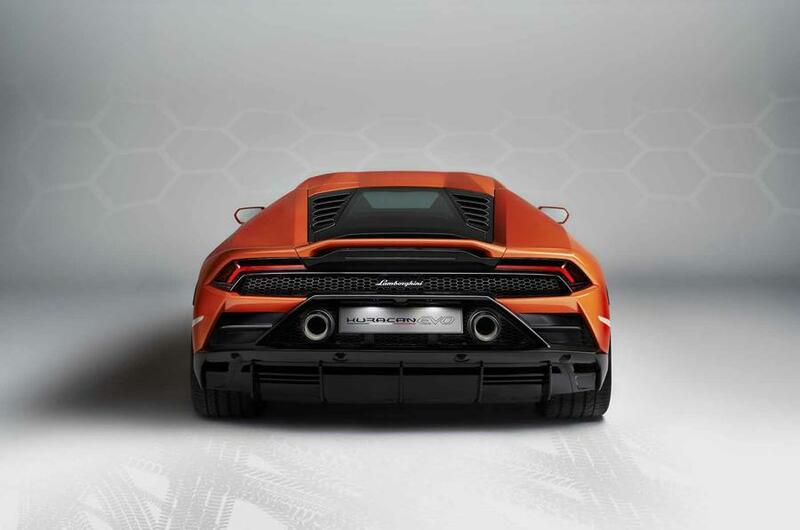 The rival to the Ferrari 488 now christened the Huracan Evo, has an amount of aero changes designed to offer "aerodynamic superiority", a new front bumper has bigger intakes and an integrated splitter. From the Side there are also revised intakes, and at rear a new full-width intake and new twin exhaust outlets which are positioned higher up the rear bumper, while a new integrated spoiler better balances downforce and drag. 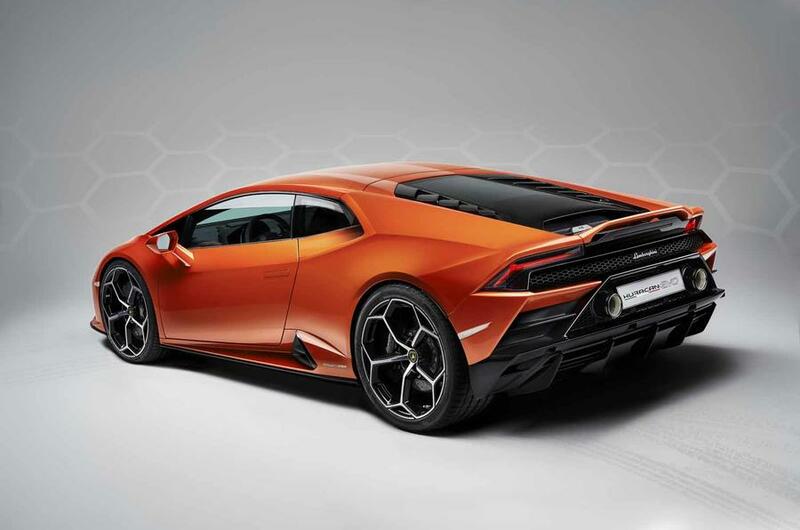 The new Huracan Evo benefits from the same 5.2 litre V10 which the Huracan Performante used to claim the Nurburgring record launched last year, the standard Huracán now profits from the same 613bhp 5.2-litre V10. A 29bhp boost from the older Huracan, and 600Nm of torque. 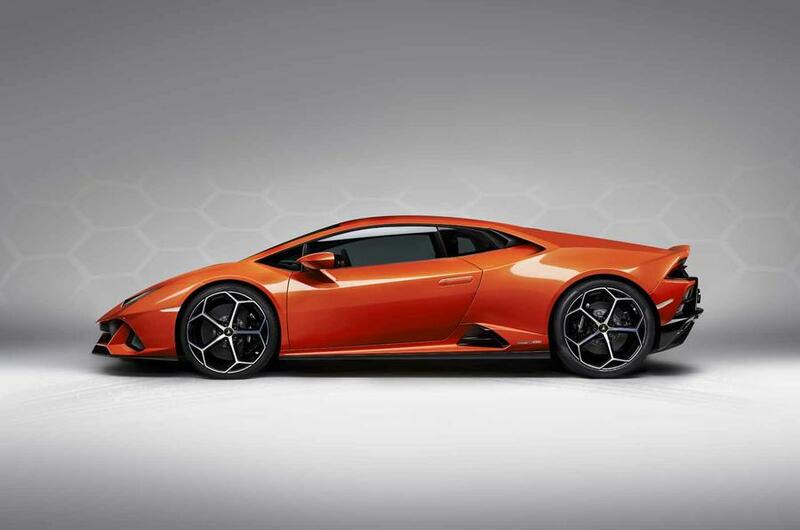 This Means a new 0-62mph time of 2.9sec, down from 3.2sec and 0-124mph in nine seconds. The top speed is unchanged at 201mph. 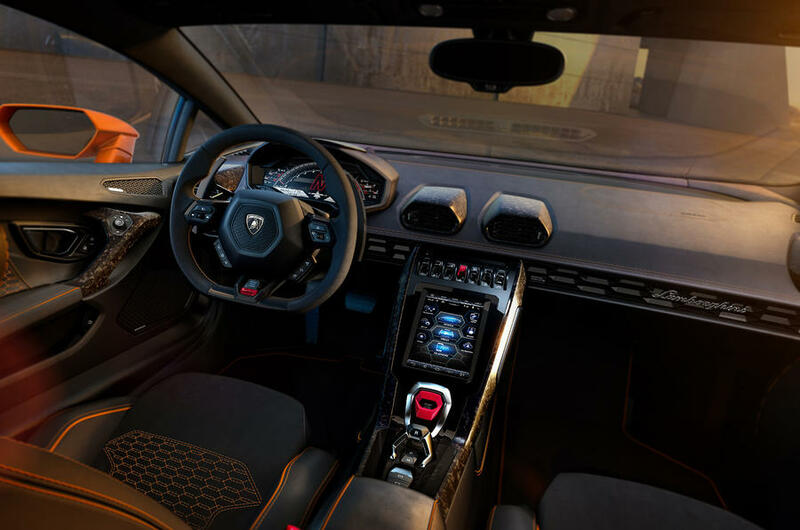 The interior of the Huracán Evo has profited from a new 8.4-inch touchscreen on the centre console. 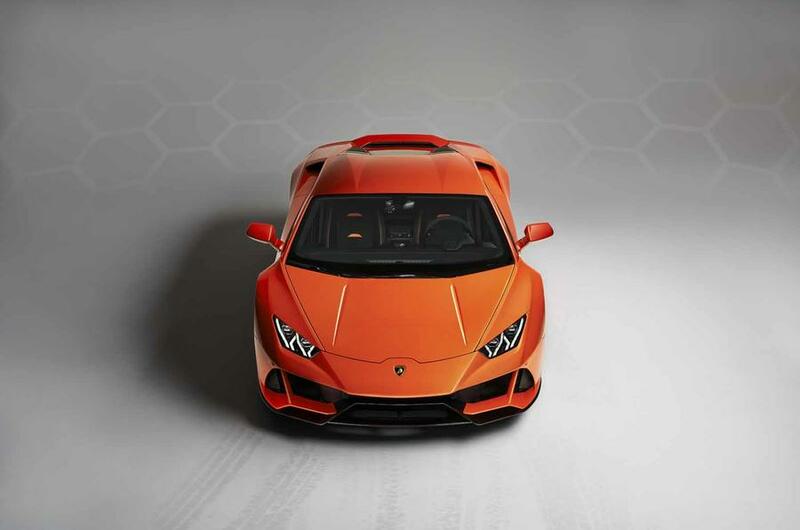 Which controls everything from the climate control to the use of Apple CarPlay, A more advanced voice command system used in the Aventador also comes in. New options include a dual-camera telemetry system with a high-capacity hard disk. 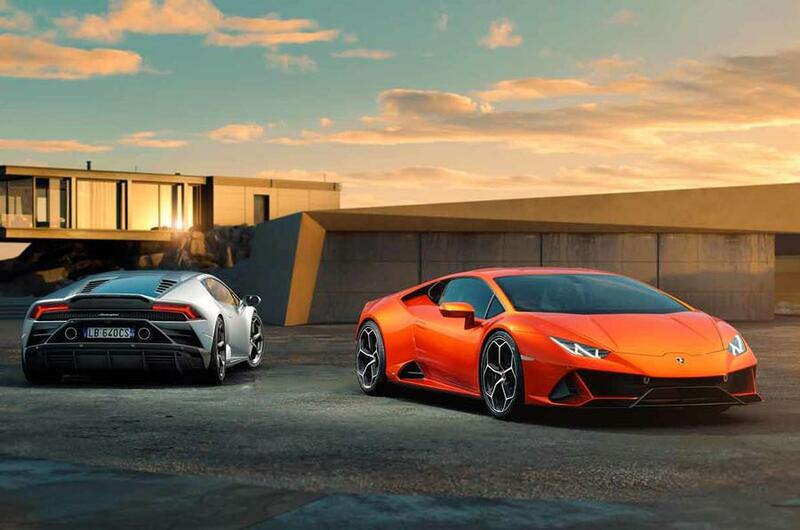 As for the standard changes, Lamborghini has boosted the Huracán's variety of personalisation options, including new wheel and colour choices. Lightweight interior materials, including forged composites and a patented 'carbon skin', are available on request. A number of upholstery options, and a range of new style packs, have also been announced. We will start seeing deliveries of the new Huracan in the spring, with initial pricing details at £165,256 excluding taxes, expect a cabriolet version to be revealed along with the same changes in the coming months.